Our 2019 Schedule is here! Register now! 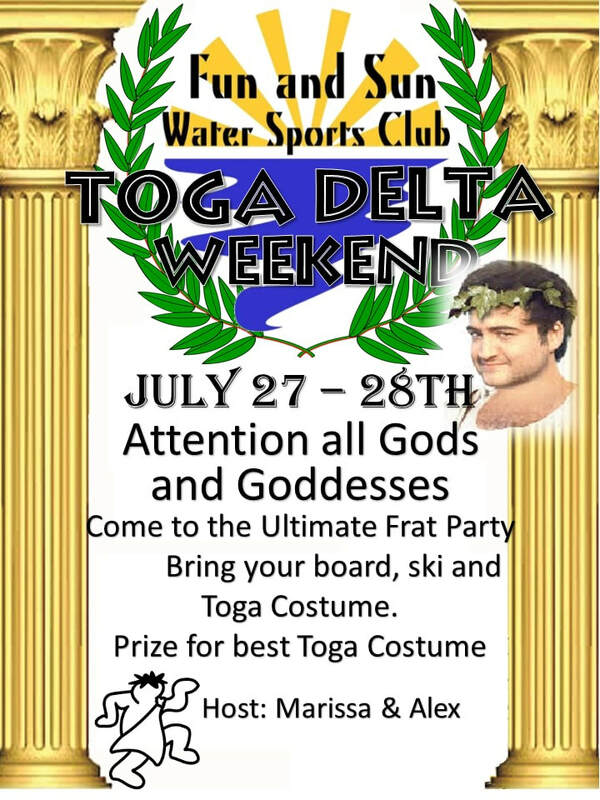 We have two types of events - our Orwood Weekends and our Lake Parties. See the schedule below for descriptions. 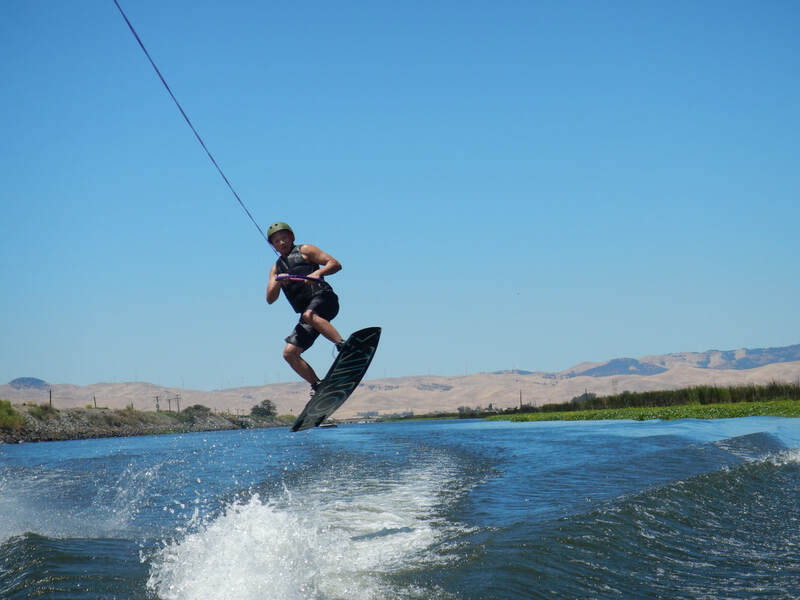 Throughout the summer we have chill riding events out of Orwood Resort in Brentwood, CA. 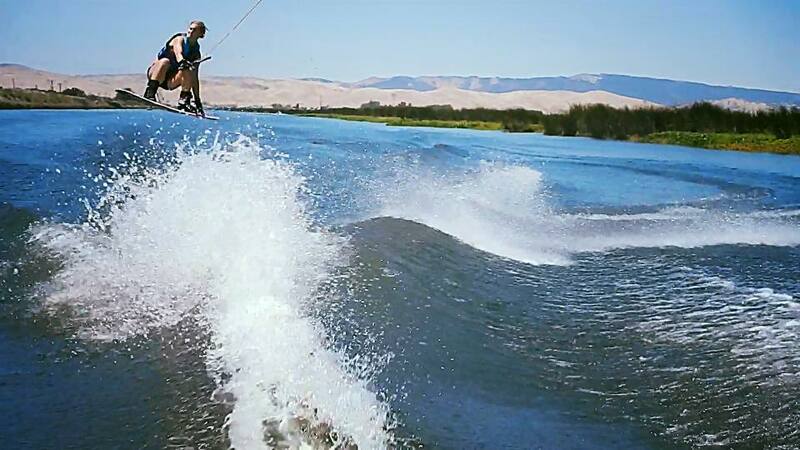 These events focus on riding all day (you can almost always find good water on the delta! ), and building friendships amongst the group. We ride all day Sat & Sun, switching up boats each day so you get to know more people. Depending on wind and how everyone feels, we also might tie up, swim, and hang in the afternoon as well. At night we'll build a campfire, put on some music, and you can make new friends and get to know each other better after riding. Dinner & drinks provided Saturday night. 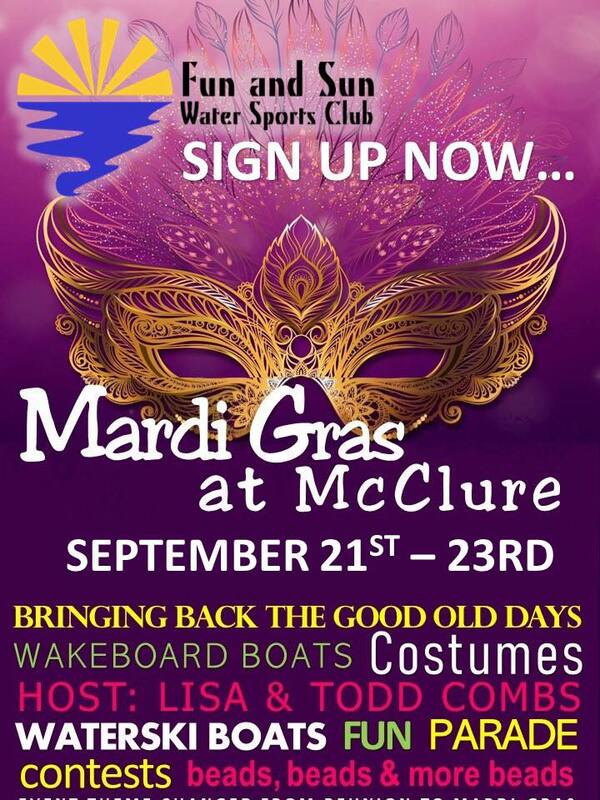 Our lake events are our "party & ride" weekends of the season. We're on the boats riding, hanging, and swimming all day Saturday and Sunday, and we party hard Saturday night. Each event has a theme, and the party includes dinner, music, games, and costumes. Drive up Friday night to be ready to go in the morning, or arrange with boat owners who go up early on Friday to ride an extra day. Events end at 4pm Sunday. Cost includes riding & gas for 2 days, plus food & drinks Saturday night. Depending on the lake, you will either have camping covered in the ticket price, or will pay for your camping directly on entry to the lake site. When you come to an event, you'll be assigned to a boat each day, so no need to worry about asking people if you can ride with them. Boat assignments are posted the night before in the group area. We have equipment you can borrow (boards, skis, life jackets) or bring your own. You will be on the boat all day, so take a look at the details for what to bring. We get started early on the lakes (~8am) and a bit later on the delta (~9am), so meet your boat owner and be ready to load up 15 minutes before. While on the boat, listen to your boat owner, and help out! Pull in ropes, get out fenders, offer to assist. You can eat and drink on the boats, and coolers are on the boats, but of course don't make a mess, and don't be a mess. Most riders take down their tents Sunday morning, so plan for extra morning time. When you come to an event, a crew will be assigned for each day. You will also be assigned a club-approved driver if you are not bringing a driver to help you. You'll be on the boat all day, stopping for lunch at the local marina or boat-up restaurant. Be sure to educate your crew on how they can best help you and any special instructions for your boat - some riders are brand new! Ideally have your coolers ready to go with ice and be gassed up (both are reimbursed) before start time (8am lakes, 9am delta). Get the phone numbers of your fellow boat owners and the boat commodore so you can communicate about water quality, tie-up spots, or if you break down. Our events are 100% put on by YOU, the club. Whether you are a member, or just checking us out, we need your help to ensure the event goes smoothy. We ask that all attendees sign up for 1 or 2 "duties" during the weekend. And of course, help out whereever you see a need.